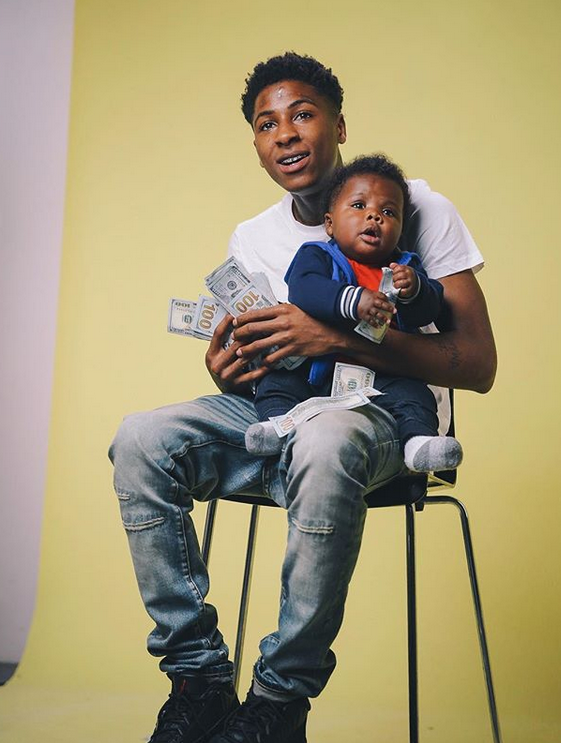 18-year-old NBA Youngboy is...well, we'll let y'all decide. The Baton Rouge rapper recently confirmed his on-again, off-again girlfriend Jania is pregnant with his FOURTH child. And from what's being said on these Internet streets, it'll be his fourth child with his third or fourth baby's mother. Yes, all of this at the age of 18. Sheesh! A few months ago, he revealed one of his kids, dubbed Baby K (shown above), isn't biologically his after taking a DNA test. Earlier this month, the rapper hopped on Instagram Live for an interview with DJ Akademiks where he explained that he's gearing up to welcome yet another child into the world. In the clip, he revealed Jania is currently pregnant and that she was actually pregnant before he was arrested on a kidnapping warrant earlier this year. The arrest occurred after surveillance footage of what’s believed to be NBA YoungBoy made its way online that showed the rapper slam his girlfriend (Jania) on the floor of a hotel hallway in Waycross, Georgia back in February. This is the same girlfriend who YoungBoy allegedly made sleep in a hotel lobby so he could be with another woman. After the video proof was released showing her laid out in a lobby, (and he was later arrested in Tallahassee, Florida), Jania hopped on social media, making claims that they were just PLAYING around. Youngboy said in the clip (below) that he was locked up for 18 days and that Jania came to visit him while he was in jail. He also said once all of this legal drama is over (since he's banned from being around her due to his ongoing legal issues), he's dumping whatever girl he's currently with for Jania. Oh. Up until recently, Youngboy seemed to have been all about Jania, professing his love for her online and acting as if they're back together. However, something went down recently between the two (again) that caused Jania to want to commit suicide. It's rumored that Youngboy dumped her. That's when she hopped on social media to share with her followers that she was "ready to die." Lordt. Someone send this teen girl some help. We honestly have no words for this foolishness. We just hope Jania wakes up and realizes she's BETTER than the ish this man is putting her through.